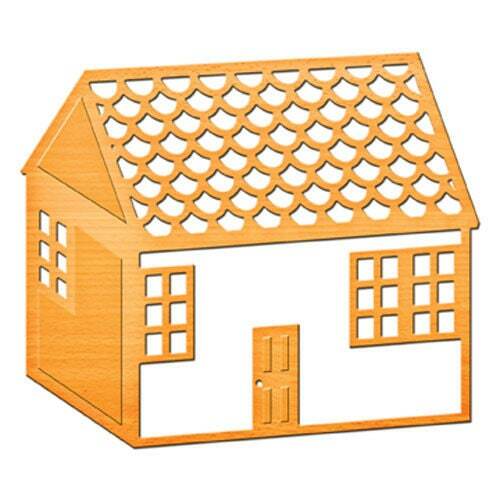 A box style house shape with a intricately cut roof design. Great details including shading (solid embossed piece) on the side of house and the front pops out to insert another color or texture to create a dimensional look. Spellbinders® Shapeabilities® In'spire™ cut, emboss and stencil with a single die template.